Maintenance free, country club living in this GORGEOUS, hard-to-find 3 bed/2 bath home, corner unit! 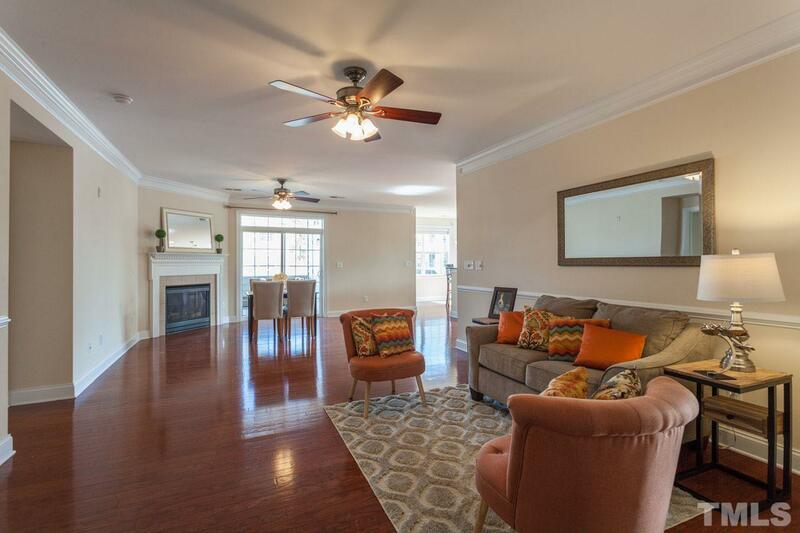 9' ceilings, gleaming hardwoods & architectural elements thru out. 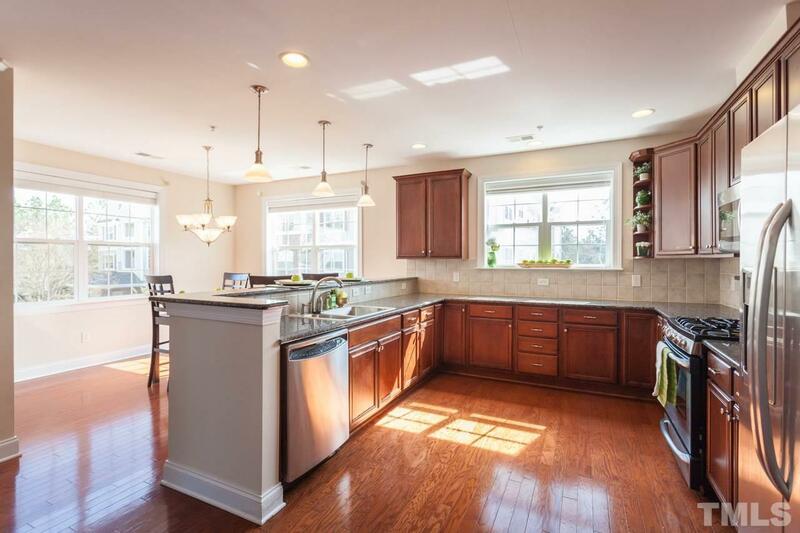 Chef's kitchen w/ 42"cabinets, granite counter tops, gas range & stainless appliances. HUGE master suite w/sitting area, over sized walk-in closet & spa bath! Secure building w/elevator & attached garage. 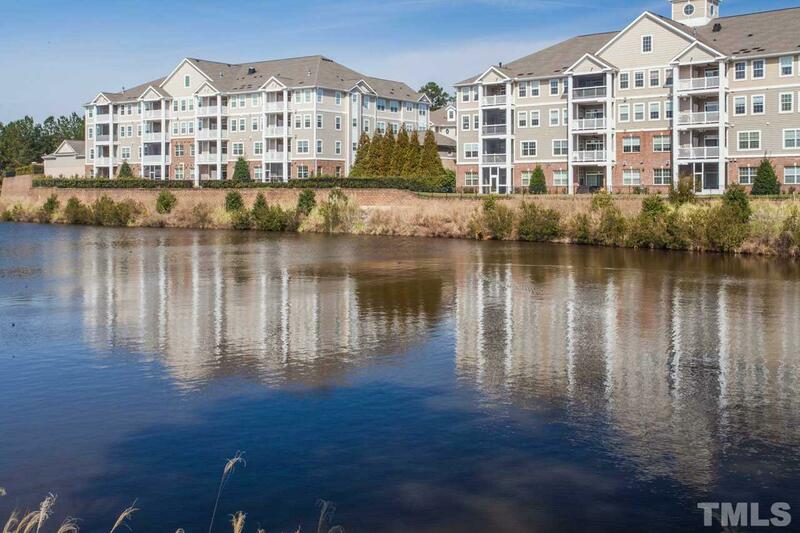 Enjoy walking trails around community lake. 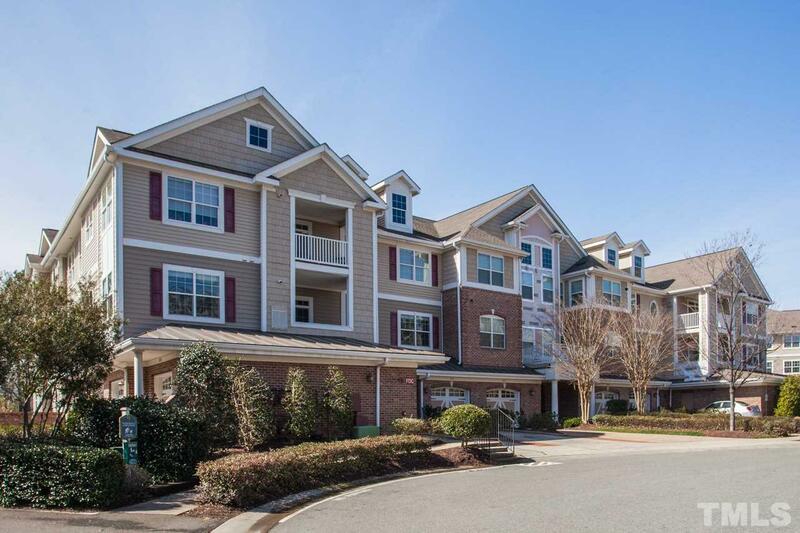 Convenient to RDU, RTP, fantastic restaurants & shopping. Truly move-in-ready. WELCOME HOME! !